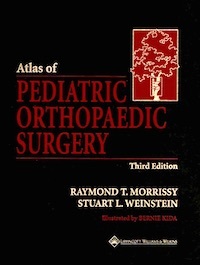 This atlas is the perfect companion to "Lovell & Winter's Pediatric Orthopaedics [5th Edition]", featuring more than 1,200 illustrations and depicting 123 common procedures in pediatric orthopaedic surgery in step-by-step detail. The outstanding drawings are accompanied by brief, clear text descriptions filled with clinical tips and pearls. The illustrations are often paired with radiographs showing intraoperative progress or desired results. The level of detail in the illustrations simulates the actual operative field. Reprinted with thanks to Lippincott Williams & Wilkins, the original publisher.